We try to make our products available to you--we know how easy it is to get yourself hooked! 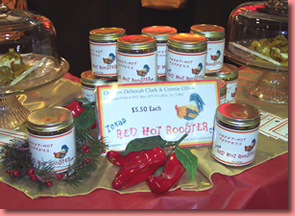 We have several retail stores who carry our products. We also attend several shows each year. You may also purchase all of our products directly from us through our online store. If you are interested in purchasing our products wholesale, please visit our wholesale page. If you know of a store or restaurant that would like to carry or use our products, please contact us. We'd love to talk to you!